Inspiring learners toward career options available in STEM fields (science, technology, engineering, and mathematics) is important not only for economic development but also for maintaining creative thinking and innovation. Limited amounts of research in STEM education have focused on the population of students enrolled in religious and parochial schools in urban settings; yet given the historic conflict between religion and science, this large sector of American education is worthy of examination. This chapter incorporates Gottfredson's Theory of Circumscription and Compromise as it relates to occupational aspirations, Bem's Gender Schema Theory to explain the role of gender in career expectations, and Crenshaw's Intersectionality Theory as it pertains to religion and urban location as group identifiers. Practical interventions for encouraging young students to consider STEM careers are discussed. The prestige of American education among other developed nations of the world is at best tenuous. Several government, non-profit, and educational focus groups, such as the American Council on Education, the National Science Foundation, and the National Action Council for Minorities in Engineering agree that the United States is losing its footing in the global marketplace (Museus, Palmer, Davis, & Maramba, 2011). While the United States teeters on the edge of losing its global competitiveness, countries such as China and India report significant increases in college graduates in science, technology, engineering, and mathematics (STEM) fields (Wissehr, Concannon, & Barrow, 2011). Advances in STEM research and development abroad are causing many American companies to expand business overseas rather than domestically (Goldbrunner, Doz, Wilson, & Veldhoen, 2006; Malecki, 2010). While other nations of the world have reported improvement in STEM educational programs and have expanded research and development initiatives, America has been comparatively stagnant in these areas in recent years (National Science Board, 2014). For example, the National Science Foundation (2010) reported of the top 30 industrialized nations, students in the United States ranked 25th in math achievement and 21st in science achievement. The World Economic Forum (2009) made a comparable finding when ranking the quality of mathematics and science education in the United States as 48th in the world. Working to find solutions for this deficiency, some would suggest a stronger emphasis be placed on encouraging secondary students to pursue college degrees and careers in STEM fields (National Research Council, 2010; National Science Foundation, 2014). However, advancing this cause has grown increasingly difficult in the current field of K-12 education that is presently experiencing a dearth of STEM-degreed math and science teachers (Office of Postsecondary Education, 2013). While opportunities for employment in STEM fields appear to be growing, there is concern that fewer young adults are interested in pursuing STEM-related careers. For instance, in 2009, more Bachelor’s degrees in America were awarded in business than in science, technology, engineering, and mathematics combined (National Center for Education Statistics, 2009). An alarming statistic presented by the U.S. Department of Education shows that as many as 65% of students who begin a STEM major do not finish within 6 years (National Center for Educational Statistics, 2009). More work is needed to understand why students are not interested in entering STEM fields and why those who are interested may not always complete degrees and enter the workforce as STEM professionals. 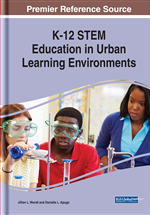 Furthermore, a greater understanding of STEM education in a variety of learning environments may illuminate the discussion even further as educators seek methods for encouraging STEM pursuits in urban K-12 settings. Learning environments which cater to unique populations risk being under-studied and yet research in these populations is no less important (Tseng et al., 2013). Were researchers to focus attention on specific and unique K-12 learning environments, understanding of overall effective methods may be broadened. STEM Professional: An individual who works in a science, engineering, technology or mathematical field and who holds a minimum of a Bachelor’s degree in their professional field. Interest: The combination of emotional attachment and personal valuation of a task resulting in a desire for various levels of enjoyment. Conservative Protestants: Individuals comprising a religious subgroup believing the Bible to be the ultimate source for truth claims about life and holding a literalist viewpoint of the origins of life as found in the book of Genesis. Attitude: Attitude toward STEM subjects describes a participant’s favor or disfavor of science, technology, engineering, or mathematics as an academic pursuit. STEM Career Interest: A participant’s desire to pursue a career in a STEM field due to a perception of potential enjoyment.